Join us on our cruise safaris on one of the world’s largest man-made dams, Lake Kariba in Zimbabwe. 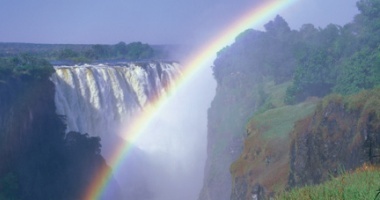 Situated almost exactly halfway down the iconic Zambezi River & approx. 90 km after it spills over the magnificent Victoria Falls. Lake Kariba is an attractive and largely undiscovered holiday destination. Its vast expanse of water forms a boundary between Zimbabwe and Zambia; its extensive and attractive shorelines are home to large populations of wildlife and its islands are dotted in a picture-postcard deep blue sea against a backdrop of high escarpment mountain ranges on each side. Big sky sunsets over the lake are legendary, with the calm water turning to golden in the dusk and the bare branches of its famous petrified trees silhouetted in the foreground. Karibas magnificent scenes are second to none. 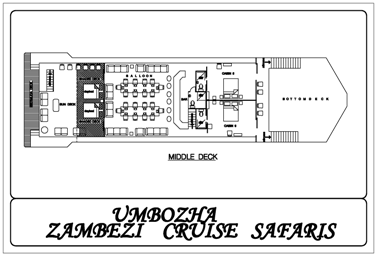 Zambezi Cruise Safaris has the largest privately owned fleet of luxurious boats on Lake Kariba. Offering comfort with the classic friendly Zimbabwean service, making a complete and intimate cruise experience. With cruises that can traverse the full 270km length of the lake and in and around beautiful bays and islands, this is a truly unique African Safari. Sit back and soak up the breath taking scenery or partake in the many offered activities on an all-inclusive basis. Boasting a unique fleet of vessels, furnished and decorated to a similar high standard, air-conditioned cabins and reception areas, pool or jacuzzi and all cabins having views directly onto the lake. We have a dynamic team aboard, friendly and knowledgeable crew expertly trained plus a guide/host to ensure you have a memorable experience. A typical day on board starts with an early morning continental breakfast followed by game viewing or fishing from the tender boats( smaller boats that travel with the main vessel and are used for activities), allowing you to explore the expansive waters of the Lake, experiencing the unbeatable scenic views, abundant birdlife and possible wildlife sightings. The boom of the Ground Hornbill resounds from the shoreline and Pells Fishing Owls can often be found in the high branches and riverine patches. The notorious cry of the African Fish Eagle echoes from all around the lake. The Matusadona National Park boasts a unique combination of pristine rugged wilderness, together with the water frontage of the Lake. It is one of the last remaining sanctuaries of the Big Five and is famous for its abundant elephant population which feed along the shorelines. Try your luck fishing for Kariba Bream, Cornish Jack or the infamous Tiger Fish or simply snap away in this photographer’s paradise. Back at the main vessel, a delicious brunch is served on deck as we sail off to our next destination along the lake shore. Lake Kariba stretches endlessly into the distance, a vast unpolluted lake with hazy colourful horizons providing picturesque landscape views. On arrival we explore the nearby creeks and inlets with abundant hippo and crocodile populations or simply relax with a cool drink and watch the world drift by. In the evening enjoy a sundowner and soak up the legendary Kariba sunset as we cruise back to the main vessel. Experience the waters and shores of lake Kariba in a variety of ways, fishing or game viewing from tender boats, guided bush walks on the Matusadona flood plain and game drives from our partner lodges in the National Park or simply cruising into the sunset. From the tender boats you are afforded the amazing opportunity to spend hours exploring on your birding and wildlife safari. On the Binga/Victoria Falls side of the Lake there is abundant birdlife including such treasures as Pells Fishing Owls and Black Eagles as well as large hippo and crocodile populations living in the inlets and bays. This is a safari area and not a National Park so abundant wildlife sightings are not guaranteed but this area does have four of the Big Five and sightings are always possible. The area is fairly mountainous and there are usual sightings of klipspringers, bushbuck, kudu and other antelope plus numerous baboons and rock hyrax. The area however boasts stunning scenic views, and guests can enjoy serene cruises through the beautiful Sengwe River. 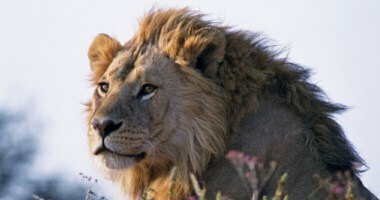 The Matusadona National Park is in the Eastern Basin of the Lake and here one can expect to see more animals. 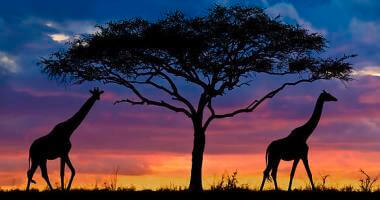 It is home to the Big Five and has herds of established and settled game which are used to boats and human activity. Herds of buffalo and elephant can be seen feeding on the shorelines along with Zebra and many antelope, lions can sometimes be heard in the night and are regularly seen from the tenders. There is great birding along the lake shore and many river inlets. This untouched habitat and its variety of inhabitants provides for a photographers paradise. Stunning hues on the horizon synonymous with the surrounding majestic hills, unbeatable light, striking bush colours and wild subjects make for unique photo opportunities. 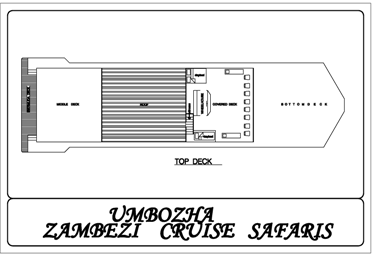 Umbozha offers 9 cabins, all with stunning lake views, beautiful teak furnishings, fully air-conditioned and boasting a unique contemporary feel. With an expansive lounge and dining area, offering panoramic views of the landscape beyond, coupled with stylish interiors. A Staircase leads from the lounge to the top deck, from where our captains sails the vessel. This offers a birds eye view and a great area to relax on a day bed in the open air. Or escape the heat of the midday sun with a dip in the pool or kick back and relax on the sun loungers, all the while surrounded by endless views of stunning African scenes. All cabins en-suite with air-conditioning and with views directly onto the lake. Spacious & fully air-conditioned lounge and dining areas. 4 m x 3 m pool with shade & sun deck. 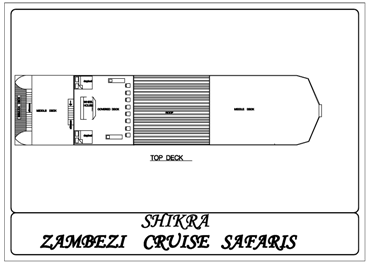 Three large external public deck areas. Shikra offers 10 twin/double cabins, all with views onto the Lake, perfectly framing the ever changing landscape. 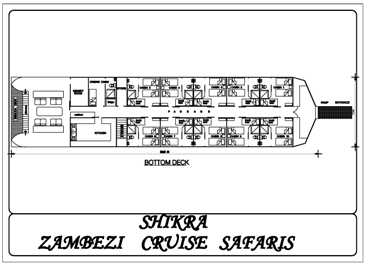 Well appointed en suite cabins, fully air conditioned and detailed with an African theme. A large air conditioned lounge and dining area opens forward to a shaded pool deck with an open air back deck for al fresco dining and suntanning. All cabins en suite and fully air conditioned. 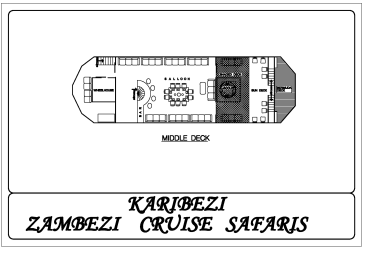 Karabezi is a more intimate vessel with only 5 main cabins. Equal in her furnishings and teak theme throughout. Fully air conditioned lounge/dining room leading out onto an open plan deck with seating area and jacuzzi. 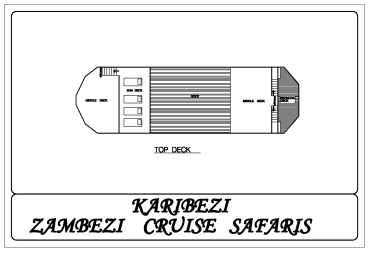 She has a third sun/viewing deck with 6 loungers, this area is often used for sleeping out under the stars. (The crew will always be happy to arrange this at your request). All cabins fully air conditioned, all (but one) en suite. Departure day starts with an early morning collection from your Victoria Falls Lodge or Hotel, for an interesting road transfer through tribal lands en route to Binga. We will set sail at midday enjoying a scrumptious lunch whilst we cruise to the Sengwe Basin. On arriving in the late afternoon the main vessel will moor on the shoreline allowing use of the smaller tender boats to explore the remote Sengwe River system. With stunning scenery, resident hippo & crocodile populations , great birding and possible game sightings before returning to the main vessel over sundowners for dinner served on board. A light continental breakfast before setting off on our morning activities of fishing , game viewing and birding , followed by a delicious lunch whilst we cruise to Elephant Bay . Here we moor on a beautiful sandy beach on one of the many islands and then set off to explore the new surrounds. Ending the day with a relaxing sunset cruise on the tender boats, with drinks and snacks as we soak up the beautiful scenery and magical colours of the notorious Kariba sunset. Dinner will be a relaxing beach Braai around a campfire under the African night sky. The cruise returns to Binga Harbour by 9am allowing one last opportunity for early morning activities, followed by a full Breakfast served while cruising back to harbour for your transfer back to Hwange National Park or Victoria Falls to continue your safari. All rates are in United States Dollars (USD). Payment can be in equivalent Intl Currency (GBP/EUR/ZAR). Single Supplement – Per Person (pp) Rate plus 50% for cabins. 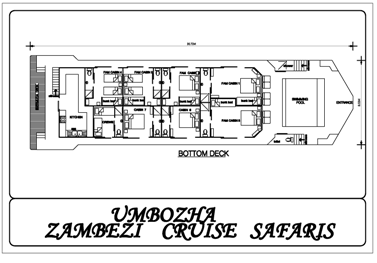 Boarding and / or disembarking could be by speed or pontoon boat from and / or back to harbour. 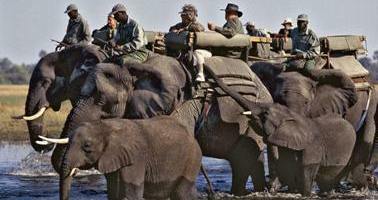 Zambezi Cruise Safaris reserves the right to limit the number of single cabins. 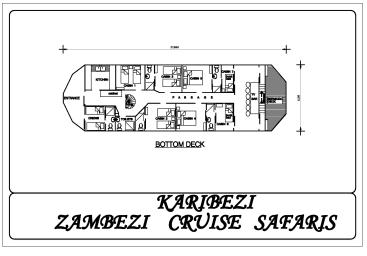 Zambezi Cruise Safaris reserves the right to sail ANY of our vessels on ANY cruise itinerary and in certain circumstances may SUBSTITUTE another vessel of similar standard. Beverages: All local Zimbabwean beers, spirits, soft drinks, still purified water, tea and coffee and selected South African wines. All fishing equipment and bait. Departure day starts with an early morning collection from your Victoria Falls Lodge or Hotel, for an interesting road transfer through tribal lands en route to Binga. 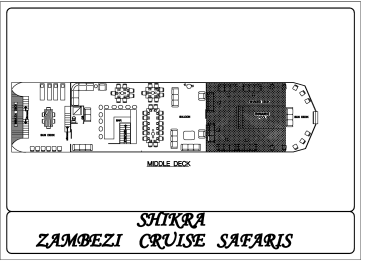 We will set sail at midday enjoying a scrumptious lunch whilst we cruise to the Sengwe Basin. On arriving in the late afternoon the main vessel will moor on the shoreline allowing use of the smaller tender boats to explore the remote Sengwe River system. With stunning scenery, resident hippo & crocodile populations , great birding and possible game sightings before returning to the main vessel over sundowners to the main boat for a relaxing beach braai around the camp fire. We set sail before dawn through the expansive Sengwa Basin as we cruise almost half the length of this iconic lake that borders both Zambia and Zimbabwe arriving in the Bumi basin in the Matusadona National Park for our afternoon tender boat activities and evening sundowners. Day three starts with a light continental breakfast followed by morning activities from the tender boats or optional extra of a Game Drive/ Game Walk or a visit to the remote Tonga fishing community. Lunch is served as we cruise further down lake to Palm or Gordons Bay to moor in a secluded inlet before spending the afternoon exploring the Lake shores and Bays for wildlife sightings followed by evening sundowners and snacks as we watch what are known as some of the best sunsets in Africa. Early morning departure for Kariba Harbour, breakfast will be served as we cruise across the Lake to arrive in harbour before mid-day and continue with your safari. National Parks Conservation Fees, Fishing Permits and River / Lake Usage Fees are EXCLUDED. Please contact us for a quote and suggested itinerary.